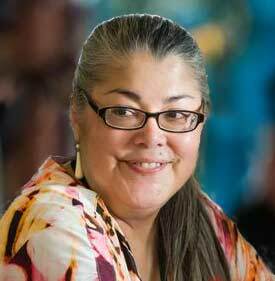 The founding Director of the “House of Welcome” Longhouse Education and Cultural Center at The Evergreen State College since 1996, Tina became Evergreen’s first Vice President of Indigenous Arts and Education in March 2018. With degrees in education and law from the University of Wisconsin-Madison, Tina is an adjunct member of the faculty at Evergreen who regularly teaches in the Master of Public Administration Program. She also serves on the Indigenous Program Council at the Banff Centre in Alberta, as well as on the Board of Directors for the Lac du Flambeau Band of Lake Superior Chippewa’s Waaswaaganing Living Arts and Cultures Center. 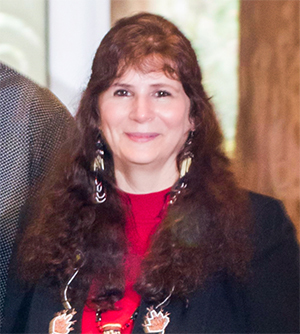 Affiliated with both the Lac du Flambeau Band of Lake Superior Chippewa (enrolled) and the Lac Courte Oreilles Band of Lake Superior Chippewa tribes, Tina works with a multitude of tribal peoples and artists from throughout the Pacific Rim in her roles at Evergreen. 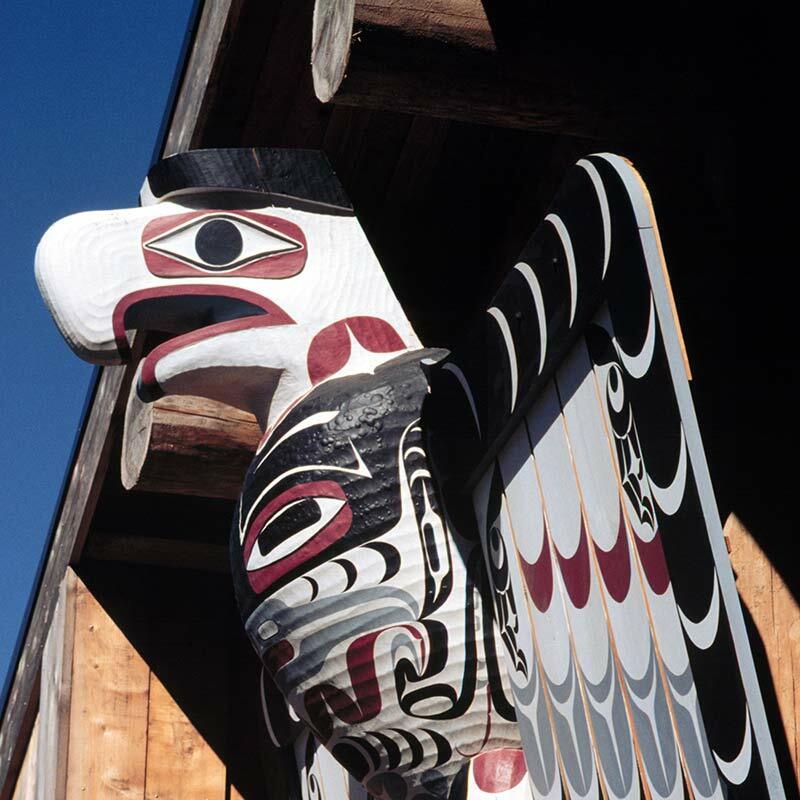 Laura is enrolled in the Tlingit and Haida Indian Tribes of Alaska. She is Gaanax.ádi clan, youngest daughter of Pearl Peratrovich of Klawock, Alaska. Laura has been working at the Longhouse as Assistant Director since 1999. From 1994-1999, she served as a Financial Aid counselor and Director of Student Employment at Evergreen. Prior to that she worked in Multicultural Affairs at Kansas State University, and previously, she was the Assistant Dean of the University Graduate School at Indiana University-Bloomington. She has a Masters Degree in Higher Education and Student Affairs from Indiana University, and a B.A. in Sociology, also from Indiana University. Linley (Seneca) is a multi-disciplinary contemporary artist/designer and art consultant. He has attended four International Indigenous Arts Exchanges, curates contemporary Native American art exhibits, and serves on local arts boards. 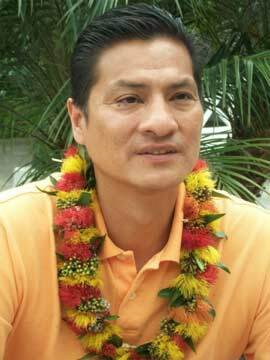 Linley’s employment experience includes the Smithsonian Institution’s National Museum of the American, and teaching printmaking at Hawaiian Ohana for Education in the Arts, Hawaii. Linley has served on grant review panels for the Longhouse Education and Cultural Center, Native Arts and Cultures Foundation, First Peoples Fund, Ford Foundation - Leveraging Investments in Creativity, NEA - Folk and Traditional Arts, All Roads Film program, and the National Geographic Society. An Indigenous advisory board comprised of practicing Native artists and scholars who help to provide some of the creative direction of the Longhouse.